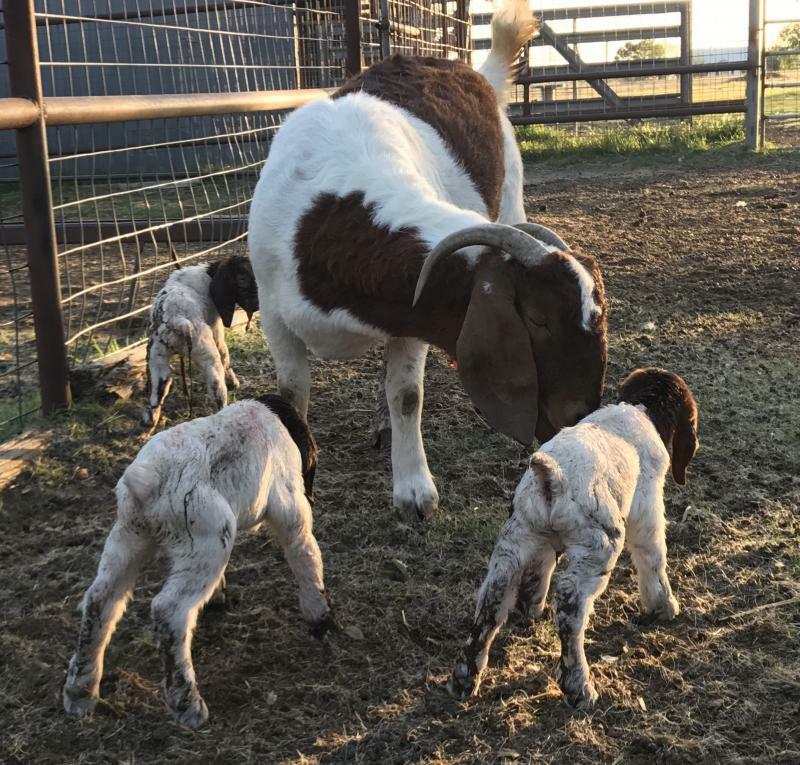 Kidding got off to a great start April 17 with this set of triplets out of MOTO Limo, sired by MOTO Mulisha. 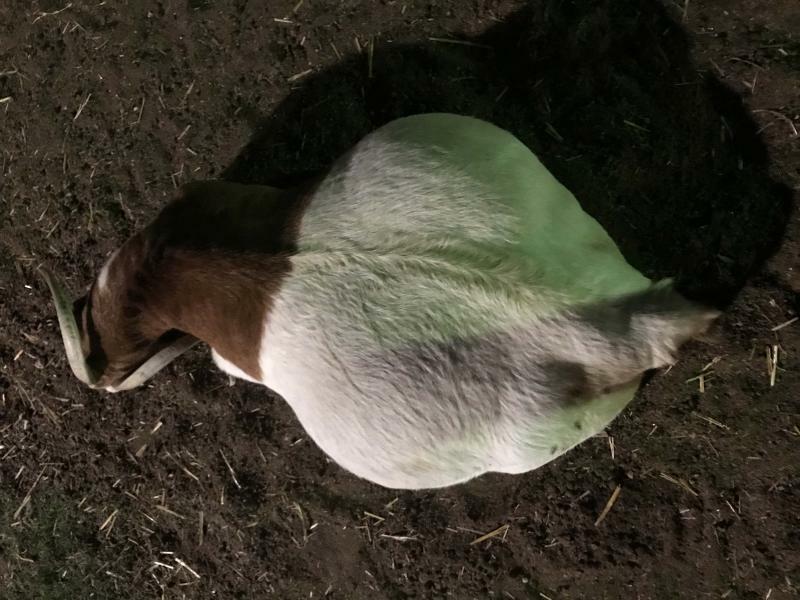 Mom delivered, cleaned up and fed the two bucklings and one doeling while I was sleeping. Can't ask for better than that! Young kids spend a lot of time sleeping. 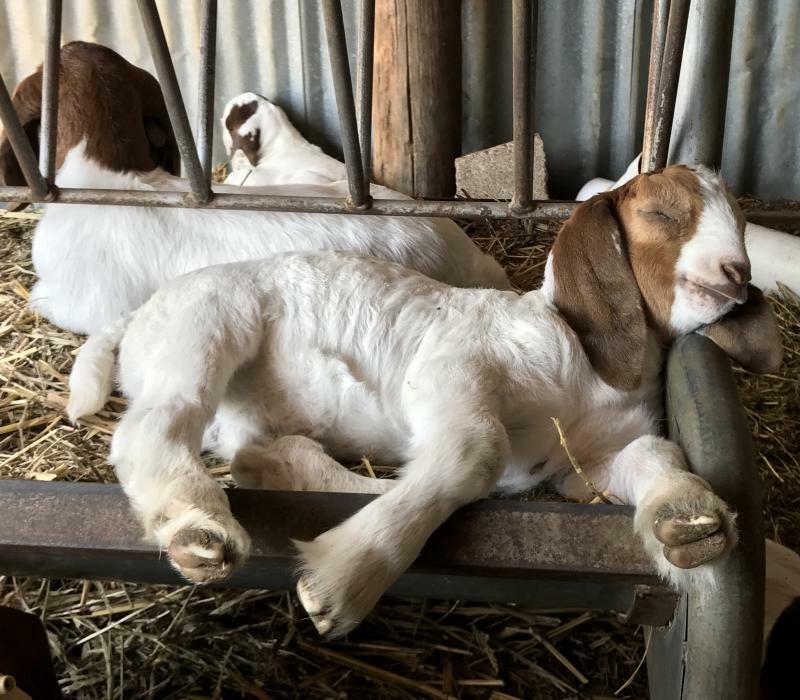 Following are some pictures of kids enjoying a snooze, some in very peculiar positions. H5 takes a nap in an empty hayrack. 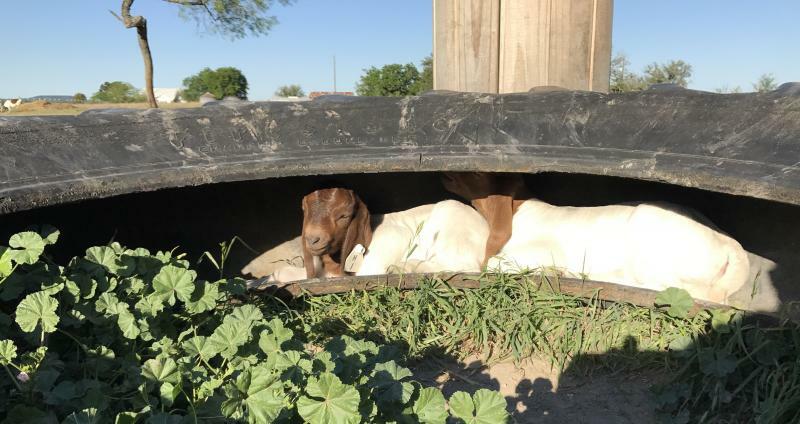 H1 and his sister H2 found a cozy spot inside an old tractor tire. 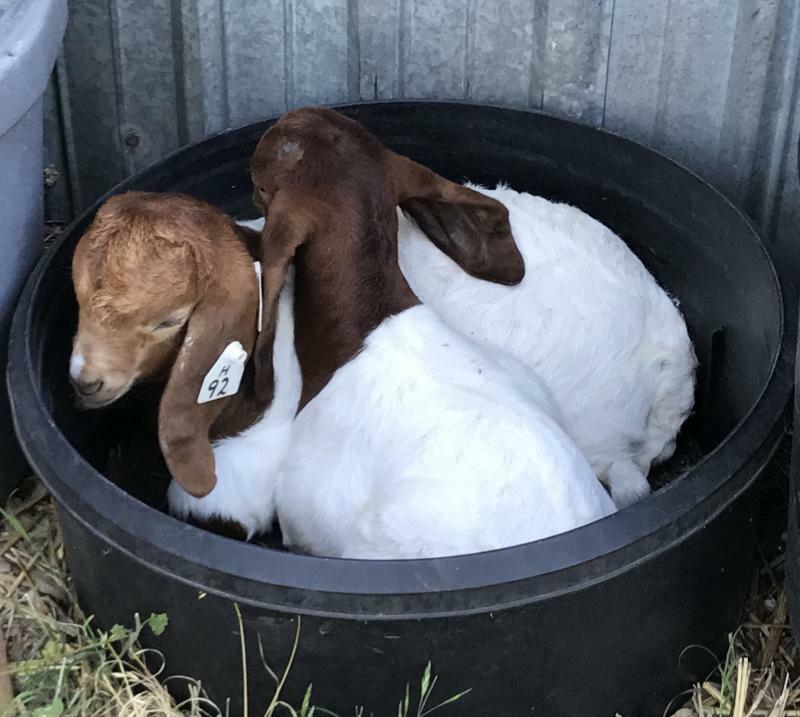 H92 and and his twin H93 chose an empty tub for their nap. 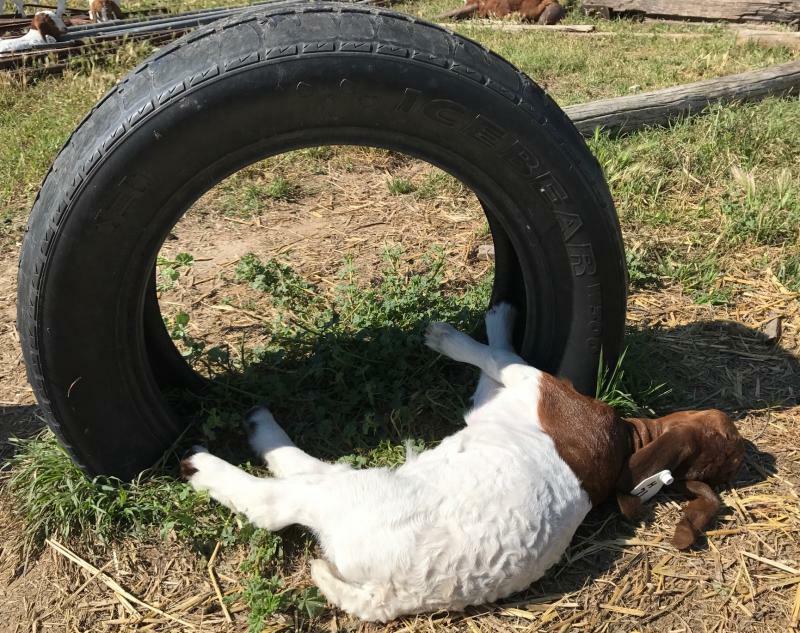 H71 appears to have fallen asleep in the middle of playing on the tire. No, he isn't dead, even though he scared me to death when I spotted him! 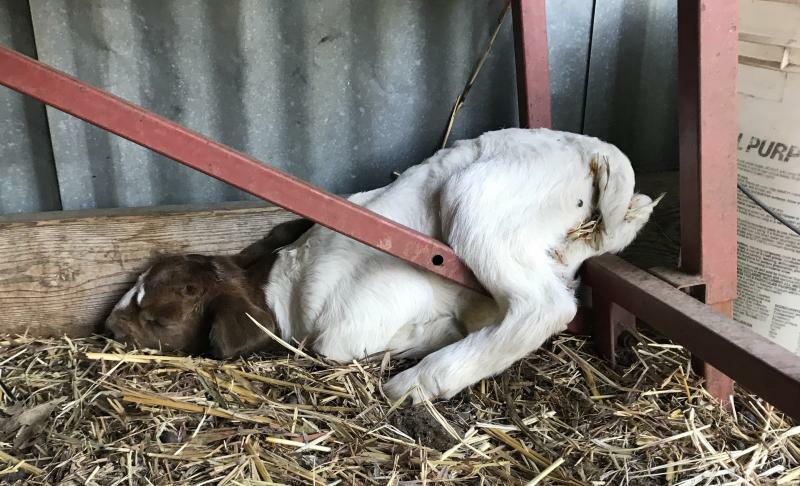 This newborn got himself stuck under the grooming stand, so just decided to take a nap and wait to be rescued. 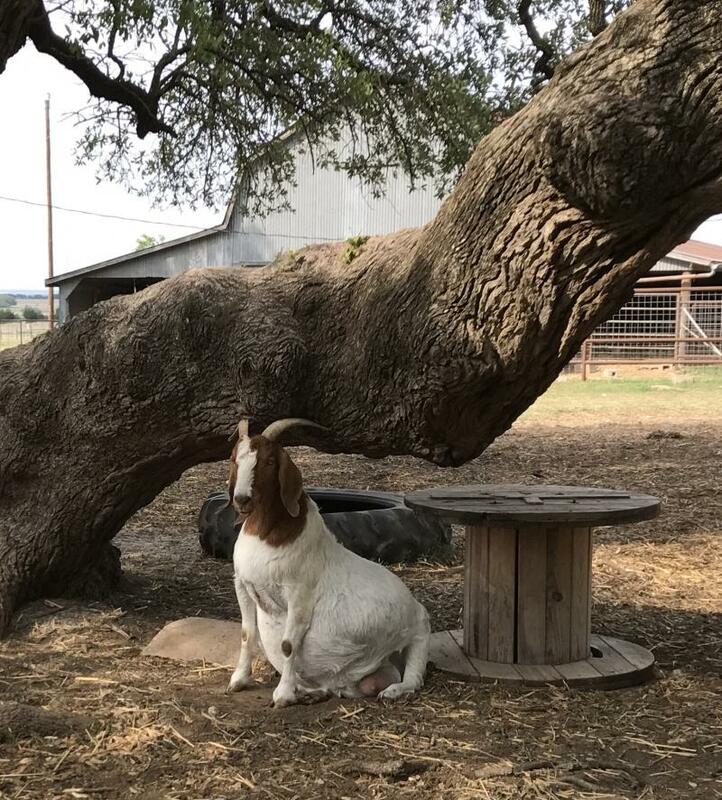 Sometimes being pregnant just really isn't any fun. Poor B101 is so big she isn't comfortable laying down. 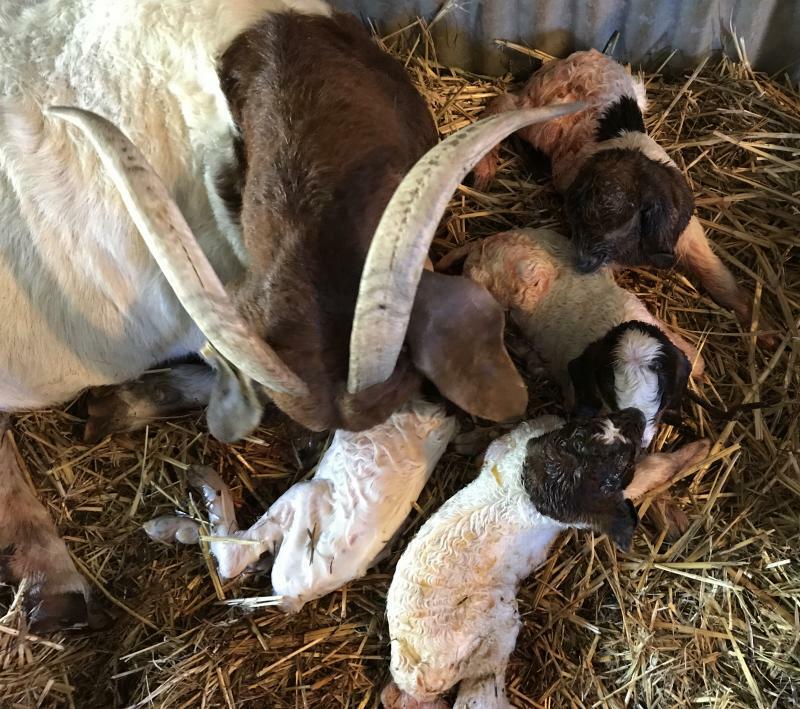 And here's what happened overnight: Triplets! Not to be outdone, A66 produced quadruplets! 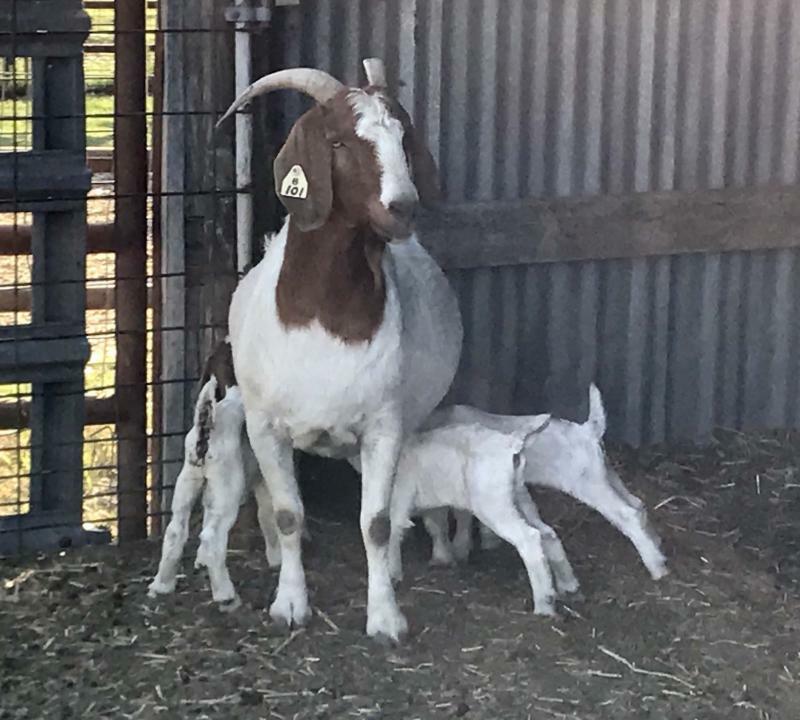 Three are full-term kids, while the fourth, Tiny But Mighty, appears to be premature but nursed just like his bigger siblings! What will Red Leg Lady come up with?